The Los Altos United Methodist Church Habitat for Humanity team. Los Altos UMC is involved in several ministries in our community and around the world. You can find out more information about the various programs though the links below or contacting the church office at (562) 598-2451. 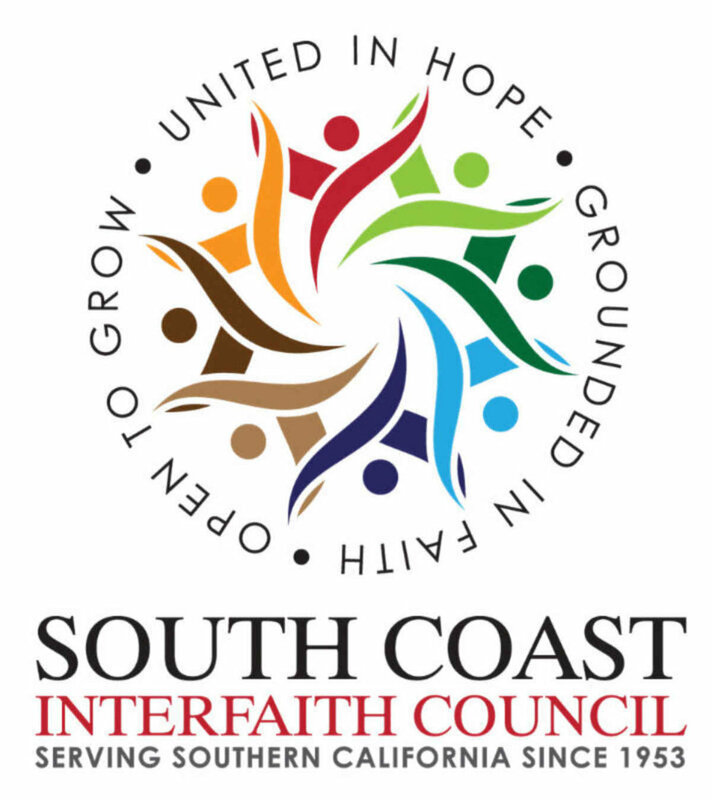 It is the Mission of the South Coast Interfaith Council to promote mutual understanding, respect, appreciation and cooperation among people of faith in the Greater South Bay-Harbor-Long Beach-West Orange County area through extending hospitality, offering educational opportunities, providing moral leadership, sharing in service and working for justice. The National Conference of Christians and Jews (NCCJ), The California Conference for Equality and Justice (CCEJ), is a human relations organization dedicated to confronting bias, bigotry and racism in America. CCEJ promotes understanding and respect among all races, religions and cultures through advocacy, conflict resolution and education. Door of Faith Orphanage is located in La Mision, Baja California, Mexico--approximately one hour south of the U.S. border crossing at San Diego. They are committed to providing the best home possible to the children entrusted to them, to have a home where visitors can be blessed by their visit, to become a base where people seeking to minister can come for supplies, training, and support. The ESL Breakfast Club is a community project in which fluent English speakers travel once weekly to the Neighborhood Church/La Vecindad, to have breakfast, sing together, and tutor others in ESL free of charge. Its purpose is two-fold: to provide ESL tutoring, and to create links of friendship between tutors and students separated by income, education, housing patterns, and history. By November 2014, the ESL Breakfast Club had oriented nearly 50 tutors and served 48 students and their families. The ESL Breakfast Club is rooted in the Los Altos United Methodist Church, and supported by a UMC Foundation grant and congregational gifts. If you are interested in tutoring, please contact Jane Wilson Barboza (telephone 562/485-8344 or email janewbarboza@gmail.com). Contributions help to pay for childcare, food, texts, dictionaries and supplies and can be made through the Los Altos United Methodist Church, Account 3397 or on our website. Meals for Millions, the founding organization of Freedom from Hunger, was established to realize the vision of an extraordinary man. Clifford Clinton was a successful entrepreneur who first took action against hunger in his own neighborhood and then saw the dimensions of that neighborhood expand to encompass the world. Today, Freedom from Hunger still follows the vision of its founder, using sound nutritional science to guide its programs, being mindful of scarce resources and, most of all, giving people resources to help themselves to a future free from hunger. Get On The Bus brings children and their guardians/caregivers from throughout the state of California to visit their mothers and fathers in prison. An annual event, Get On The Bus offers free transportation for the children and their caregivers to the prison. This year Los Altos UMC is supporting a women's bus and a men's bus. For more information on how to help with our program you can contact the church office. The Broken Loaf Food Pantry is open for business every Saturday from 9:00am-11:00am at Lakewood First United Methodist Church. Los Altos UMC is in partnership with Lakewood First UMC, providing food and monetary donations. The Broken Loaf Food Pantry serves around 100 families every week. If you would like to donate non-perishable food items, please bring them to the church office labeled for Broken Loaf Food Pantry. For monetary donations, make check payable to LAUMC with Broken Loaf Food Pantry on the memo line. Los Altos UMC is participates in an American Cancer Society Relay For Life event annually at Millikan High School. Relay For Life is a time for family and friends to honor cancer survivors, remember those lost to this disease, and raise funds and awareness to help end cancer forever. Too many people will be diagnosed with cancer this year. Relay For Life is our opportunity to inspire hope by raising funds and awareness to help those facing the disease.